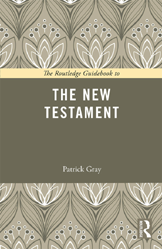 The Routledge Guidebook to the New Testament offers an academic introduction to the New Testament. With further reading suggestions, this guidebook is essential reading for all students of religion and philosophy, and all those wishing to engage with this important work. What do we know about the life of Jesus? How do we know what Jesus really said? How should the miracles in the New Testament be understood? Did Jesus found a new religion? How do we know when the books of the New Testament were written? Why does the New Testament contain (only) twenty-seven books? How should one read the non-canonical writings? How are the Dead Sea Scrolls related to the New Testament? Should the New Testament be read “literally”? What special methods do scholars use to interpret the New Testament?